Mortgage Vintage, Inc. sells its Trust Deeds on its investor portal and Trust Deed Marketplace called CrowdTrustDeed.com. CrowdTrustDeed leverages “Your Trusted Crowd” to create an environment where you can have a personalized, efficient and pleasant investing experience. For California Residents or entities only, we appreciate that you take the time to complete the registration on www.crowdtrustdeed.com. 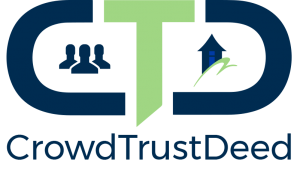 CrowdTrustDeed offers individual and fractional high yield Trust Deed Investments throughout California. Investors looking to diversify their investment portfolio can achieve 8.5% – 12% current income returns through these real estate secured investments. Registered investors are notified of all new deals via an email. We look forward to developing a relationship with you. California Residents Only. Thank you for your interest in Mortgage Vintage, Inc. and CrowdTrustDeed.